Smaller and more compact tablets offer the convenience of a wireless device and the lightweight design that makes it easy to take it anywhere. Eight-inch tablets are popular for their modern look and feel, and for their powerful capabilities. 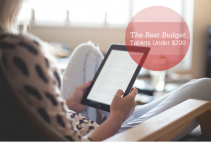 But, do you know what to look for when you’re shopping for an eight-inch tablet? If not, our buying guide will give you the core specifications you want to watch for to ensure your tablet can do everything you need it to do. We’ve also rounded up the top ten eight-inch tablets that are available on the market today. Our mini reviews give you an overview of what each tablet is capable of and if it has any shortcomings so you can make an informed decision. These sleek and modern tablets are packed full of features to enhance your experience. But, it can be difficult to pick out what the most important features to focus on without getting overwhelmed, and this is where the buying guide can help. As this is a slightly smaller screen, the tablet’s display is a very important consideration. Ideally, you want a device that is HD or has a higher resolution for a clearer picture. If you can find one with an anti-reflective coating, this will help you be able to use your tablet in all types of light. Your operating system will determine what programs and applications you can and can’t install on your tablet. If you have Apple’s iOS system, you will find more restrictions than you would with a Windows or an Android operating system. Each specific system has its benefits and drawbacks, but you want to make sure your specific one supports everything you want to use. Your tablet’s screen will range from seven to eight inches, and some come with widescreen capabilities to give you more viewing area. If you plan on streaming a lot of videos or reading, you may want to go for the larger eight-inch screen. Technology has evolved over the years to give you a brilliant, clean, and clear display on smaller screens so you won’t feel like you’re missing out. You can have several choices for wireless connectivity, even on the smaller tablets. Almost all of them connect via Wi-Fi, and a lot of them can also connect through built-in Bluetooth. 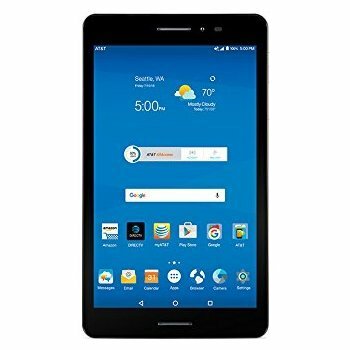 The more higher-end tablets can also connect through cellular networks as well, but you’ll generally pay more for this. 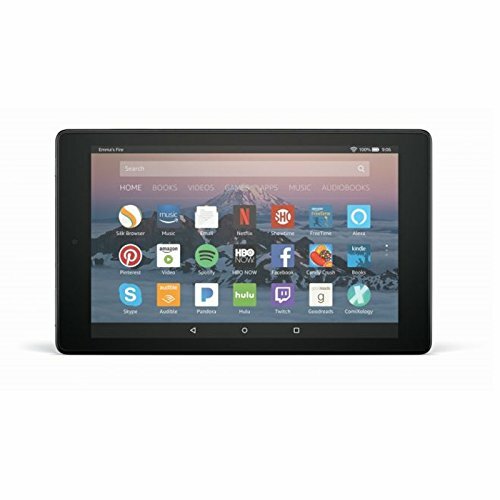 The Fire HD tablet comes with a vivid seven-inch display and the choice of 16GB or 32GB internal storage. It comes with Alexa voice control, and you get access to millions of television shows, songs, and movies. 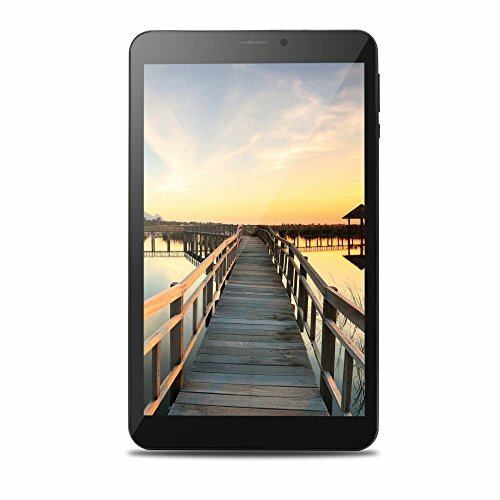 This tablet is loaded with a powerful 1.3 GHz quad-core processor for a fast response time. You get up to 12 hours of battery life on a single charge, and this tablet is designed to be durable and outlast a lot of its competition. It comes with a 2 MP rear-facing camera so you can take stunning photographs and videos. It comes in a variety of colors, and it has built-in speakers. The volume buttons are raised and easy to reach and manipulate. This compact tablet features a 76.5 percent screen-to-body ratio with a vivid HD screen for bold colors and stunning clarity. It carries a luxurious, sleek, and stylish look and feel. The Zenpad 8.0’s PixelMaster Dual camera allows you to take clear, crisp pictures every time. 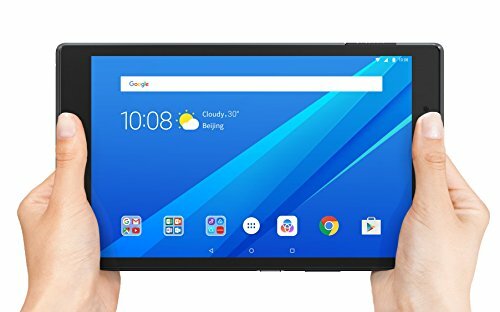 This tablet comes loaded with a personal assistant in the form of ASUS ZenUI and a variety of options like ZenMotion, Tap-Tap On, Snap Mode, and Kid’s view with built-in parental controls. You can quickly swap out different colored protective cases, and it runs with a powerful MTK 8163 Quad-Core 1.3GHz processor on the Android operating system. This tablet is extremely thin and durable with a sleek metal frame that is comfortable to hold. You get 32GB of built-in storage and up to 14 hours of playback on a single charge. 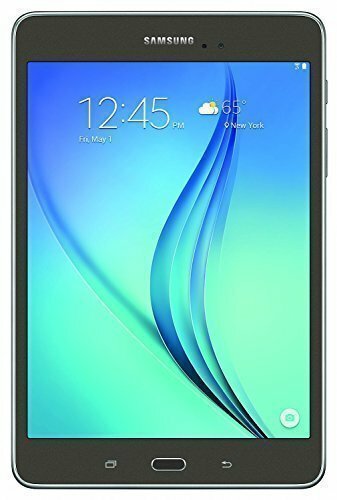 Use this tablet to browse the internet, read emails, watch movies, and play your favorite apps. It has Bluetooth 4.2, and you get three months of YouTube Red for free along with Samsung’s kid-friendly apps. Bixby Home is loaded into the device, and it allows you to pull up the weather and news on command. You get an 8MP camera and a blue light filter that makes it easy to enjoy your device any time day or night. This tablet comes with an eight-inch HD touchscreen with 10-finger multi-touch support for a seamless experience. You get dual cameras including a 2MP front-facing camera and a 5MP rear-facing camera. It runs on Windows 10 Home and you get up to six hours of battery life on a single charge. This tablet runs on a powerful Intel Atom x5-Z8300 Quad-Core Processor with 1.44 GHz with Intel Burst Technology. You get 32GB of internal storage that you can expand with the optional microSD card. It will run on both Wi-Fi and internal Bluetooth for an added convenience. 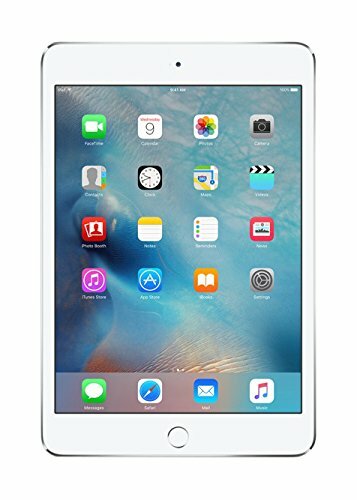 The Apple iPad mini 4 comes with a brilliant 7.9-inch LED-backlit IPS LCD Capacitive Touchscreen for a smooth and responsive experience. It also contains a Oleophobic Coating to make it resistant to breaks or cracks. You get a huge 128GB internal memory with this tablet, and this allows you to store photos, videos, or have a lot of apps downloaded. This tablet runs on a powerful and compact Dual-Core 1.5 Ghz processor on the Apple iOS system. There is an 8MP front-facing camera and a 1.2MP front-facing camera, and you get up to 10 hours of battery life on a single charge for hours of uninterrupted streaming time. This lightweight tablet features a large screen-to-tablet ratio with an eight-inch HD screen that has 10-point multi-touch capabilities. The built-in dual speakers feature Dolby Atmos for a surround sound experience. You get 15 hours of battery life on a single charge. This tablet weighs in at just two pounds, and this makes it very easy to carry it around as you need to. It also packs in an 8MP camera that can rotate up to 180 degrees. You can stand, tilt, or hang this tablet via the multi-functional Kickstand. It runs on the Android system with a powerful Qualcomm Snapdragon APQ8009 1.3GHz processor. Choose from an eight or a 10-inch display with HD to customize your streaming experience. Enjoy Dolby Atmos Audio dual speakers for a theater-like experience. You can add up to eight different users on a single tablet, and each user can customize their own account, and it weighs in at only two pounds. This powerful tablet is packed with a powerful 64-bit Quad-core Snapdragon processor of up to 1.4 GHz. It can also give you up to 20 hours of battery life on a single charge that is perfect for binge-watching your favorite shows or streaming your favorite music. OYYU’s powerful and compact tablet comes with a high-resolution eight-inch IPS screen. This screen features a 178 degree wide view angle and Bluetooth 4.0. It also doubles as a phone, and you can insert your 3G SIM card into the slot to make calls. 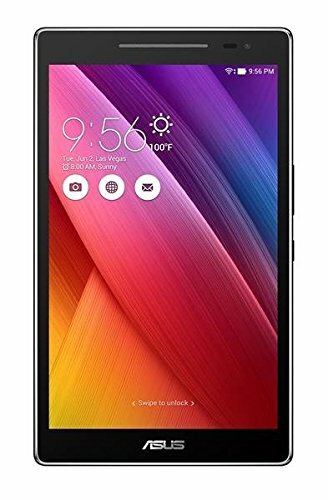 You get a powerful MTK8321 Quad Core 1.3GHz CPU with Google Android 6.0 Marshmallow operating system. It’s designed to be a high-performance tablet that has a PC-like browser so you can enjoy 3D cinema and gaming. It also lets you browse the web, stream your favorite shows, play your apps, and more in one convenient device. Pair it with your favorite devices with one touch. This tablet’s eight-inch screen features a wider viewing angle and it has a 4:3 aspect ratio to enhance your viewing experience. 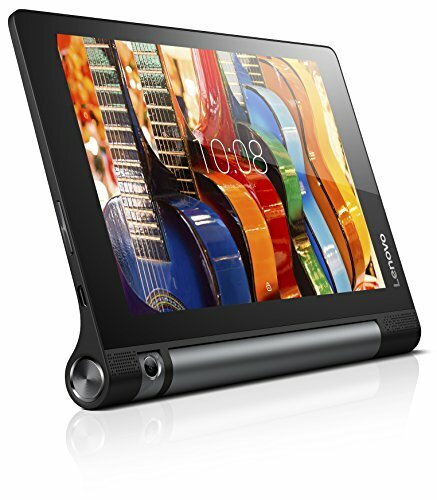 You get a very slim and lightweight construction with this tablet and the choice of 16GB or 32GB internal memory. It runs on the powerful and efficient Android 5.0 Lollipop system. It has built-in Bluetooth connectivity, and it weighs in at just one pound for maximum portability. You’ll get the Microsoft Office Package installed on each Samsung Galaxy tablet, and the powerful 1.2 GHz, Quad-Core Snapdragon processor, allows you to browse the internet or stream your shows and music easily. ZTE’s tablet comes with a brilliant high-resolution HD display with durable Corning Gorilla Glass. The dual front-facing speakers have powerful Dolby Audio so you can surround yourself in your media experience. You also get dual cameras with a 5MP rear-facing camera and a 5MP front-facing camera that makes taking pictures easy and fun. The tablet runs on the powerful Qualcomm Snapdragon Octa-Core power processor on the durable Android 6.0 Marshmallow operating system. You get 16GB of internal memory that allows you to store your favorite media and play your favorite apps quickly and easily. It connects with Bluetooth, Wi-Fi, or wireless connections. You don’t have to sacrifice functionality or power with a smaller tablet. 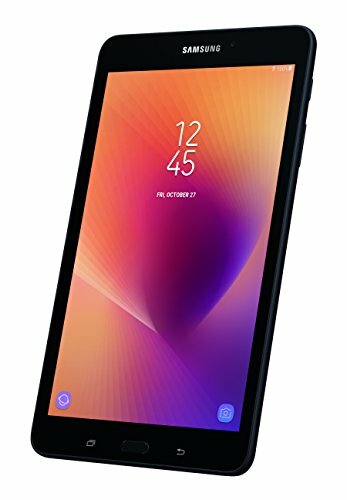 If you do your research and keep our important buying guide points in mind, you’ll have all of the tools you need to make an informed decision and purchase an eight-inch tablet that will do everything you need it to do and be powerful enough to handle multitasking or larger apps or streaming capabilities.